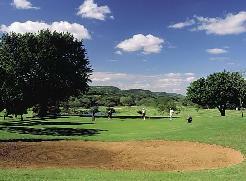 Malelane Golf Course is a nine-hole golf course that is situated close to the Malelane Gate entrance to the Kruger National Park and offers double tees on each hole. 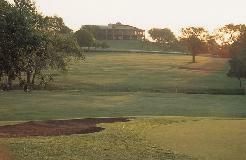 The golf course is normally in excellent condition throughout the year. 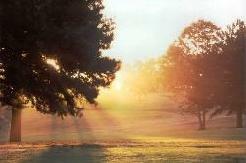 The course is an easy 5 iron from Kruger National Park and has a variety of beautiful indigenous trees. 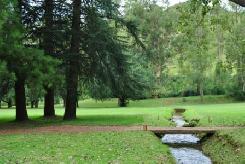 A water stream winds its way through the course and there is a wide variety of bird life to be seen. Vervet monkeys are a common sight, always busy foraging at the fruits and flowers. 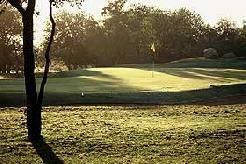 It is an easy walking course but it does get hot in this region during summer, so take plenty of water with you when you play. 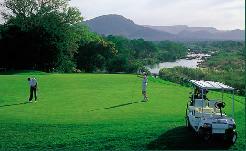 While not a championship golf course, it is a fun holiday experience to play Malelane and a welcome break from the Game Viewing.